At Interstates, safety is truly the key to our success. 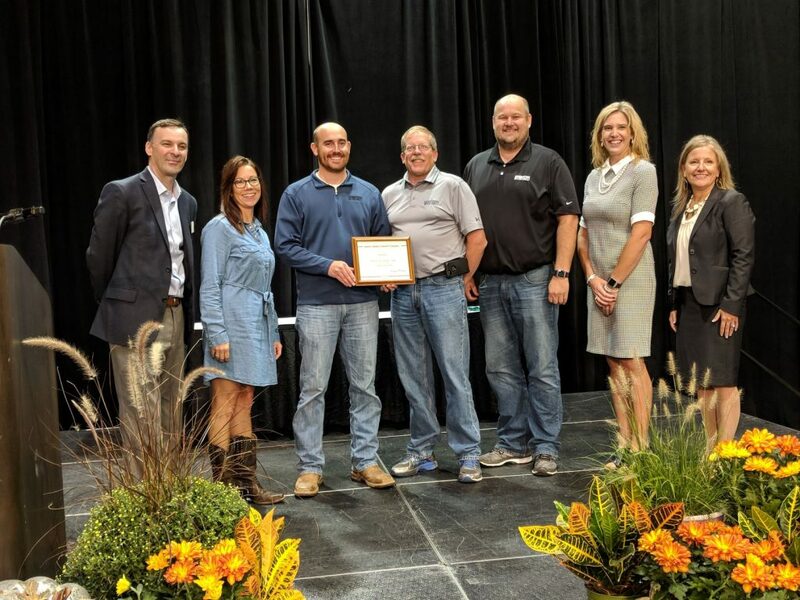 We were recently honored with a SD Governor’s Safety Award at the 2018 South Dakota Safety and Health Conference. On October 3, 2018, a few members of the Interstates family attended the conference and accepted the award. We are grateful to be recognized for our commitment to safety. A big thank you to the Interstates family for their dedication to a zero-injury culture! Click here to learn more about the award. Pictured: Christina Cota (Interstates Director of Human Resources), Ian Seuser (Interstates Safety Director), Jim Vortherms (Interstates Division Manager), Marty Van Der Sloot (Interstates Director of Operational Technology).